Last Christmas (and during New Year) I made 70 cakes for my dear and near ones and I was gifted with a good bunch of cakes by my friends who bake too well and also some of the well-known hotels in Kolkata has gifted me Christmas goodie bags and the end result after the celebration is nothing but 18 pounds of leftover cakes in my fridge. Actually, both my fridges are now half full with the different variety of cakes and my house-help has threatened me either to utilize those or to throw away, however I am dead against the later option and naturally decided to utilize the cakes and the first thing came to my mind was nothing but the Rum Balls. 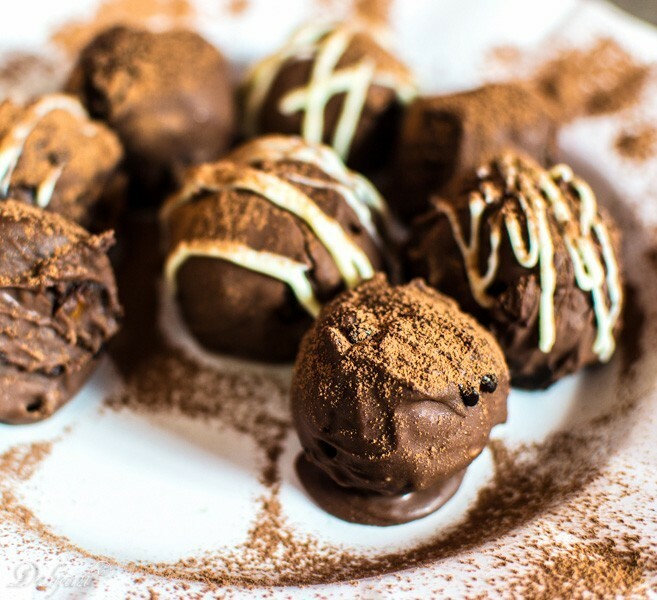 Rum Balls can very easily be prepared using the leftover cakes and the entire process involves very little cooking and actually no baking. I though am available with Rum at my place but I have decided to use the extracted Rum from the “Rum soaked Dry fruit mixture” that I am available with at my place to give the Rum Balls added flavor in addition to the Rum I have used. 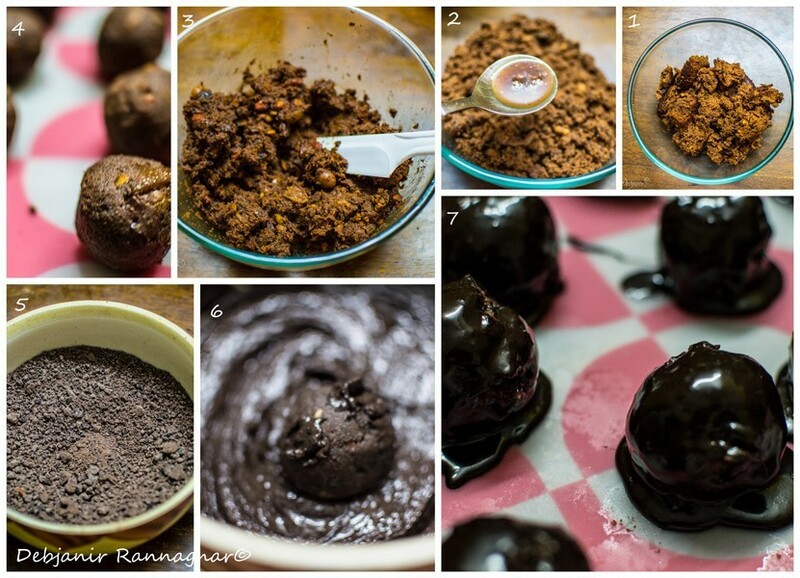 Moreover, I have used a Rich Fruit Cake to make the Rum Balls instead of using a plain chocolate cake or Vanilla cake. You can, however, use any sort of cake and Rum to make these cute and tasty delicacies. It is obvious that I am not going to serve the Rum Balls to Pasta and same applies to your kid as well unless you want to give them a good amount of alcohol. I have used two types of chocolate to double quote the Rum Balls. 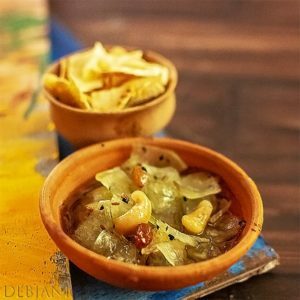 This recipe requires very little preparation and ingredients as well. I have used a Rich Fruit cake (click for the recipe), Rum Extracted from the Rum soaked Dry fruit (click for the recipe) in addition to the Rum, the brand is Old Monk, Raisins, and Nuts extracted from the same Dry fruit mixture, some semisweet Dark Chocolate, and Milk chocolate, White Chocolate and cocoa powder for decoration. I prefer a bit gooey Rum Ball and hence added little extra Rum. 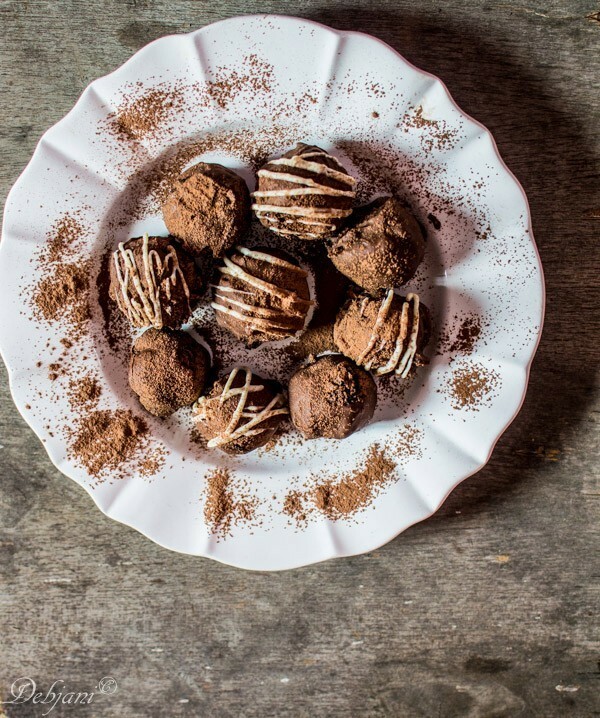 The Rum Balls are having two quotes of Chocolate; the first outer shell is prepared with a mixture of little milk and dark chocolate to give a bit soft texture to the outer chocolate wall followed by a hard shell of Milk Chocolate. In case you want a crunchy chocolate covering, skip the milk- dark chocolate quoting. aligncenter size-full" title="Rum Balls" alt="%Rum Balls" />Take a cake of your choice in a deep bowl and crumble it using your fingers or fork. I have used a Rich Fruit cake. Add Rum and Rum extract from the Rum soaked dry fruit mix to the cake mixture and start kneading it until a semi-tight mixture is formed. Here I have used Rum from the Fruit soak that I have prepared during Christmas. Add Rum soaked Raisin and Fruits and incorporate properly. Now refrigerate the mixture for 15 minutes by covering the bowl with a piece of cling film. Take the mixture out and make small balls using the batter. I have made tennis ball sized Rum Balls. Take Dark Chocolate in a glass bowl and heat it in Microwave for 40-60 seconds and using a spoon mix the chocolate properly and mix a little milk with it. Now deep each Cake Balls in the Chocolate mixture and place those over a silicon mat or a plate and Fridge until the chocolate set properly. This layer is going to be a soft one. Now melt Milk Chocolate following the same process and quote the Rum Balls with it and fridge to set properly. This will take around 15 minutes. 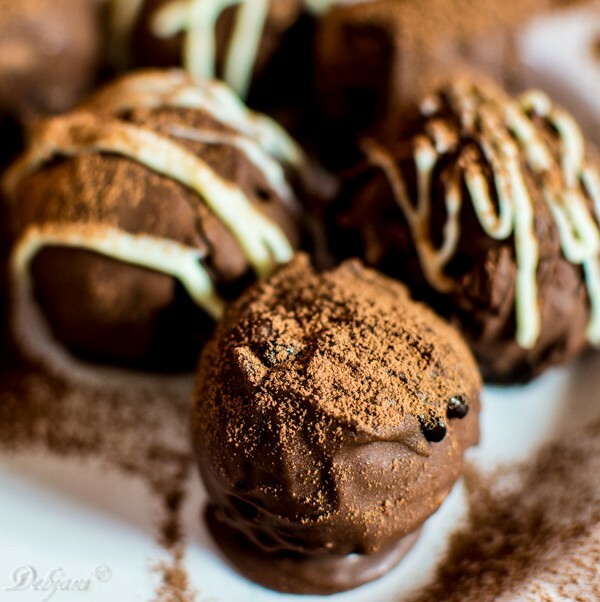 Melt White chocolate and fill a piping bag with the melted chocolate and decorate the Rum Ball and sprinkle cocoa powder over the Rum Balls. Rum Balls taste better if served after two days of preparation. Store properly in fridge in case you planning to give it the rest. Few more baked goodies apart from Rum Balls from Debjanir Rannaghar! Do try the Classic Waffle or the Savoury Cheese and Veggie Muffins or the Mawa Cupcake with Nolen Gur Butter Cream Frosting from my blog.